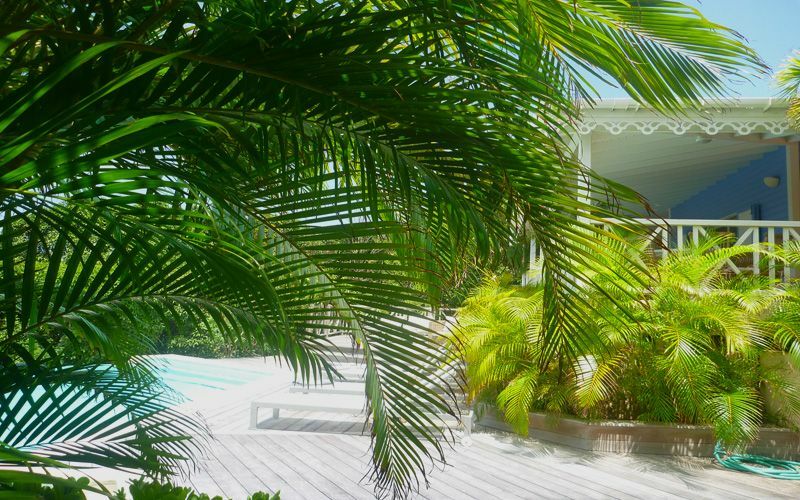 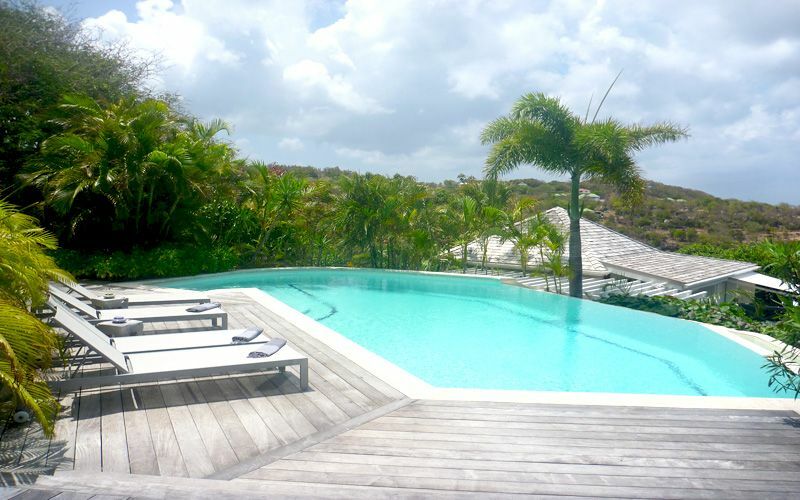 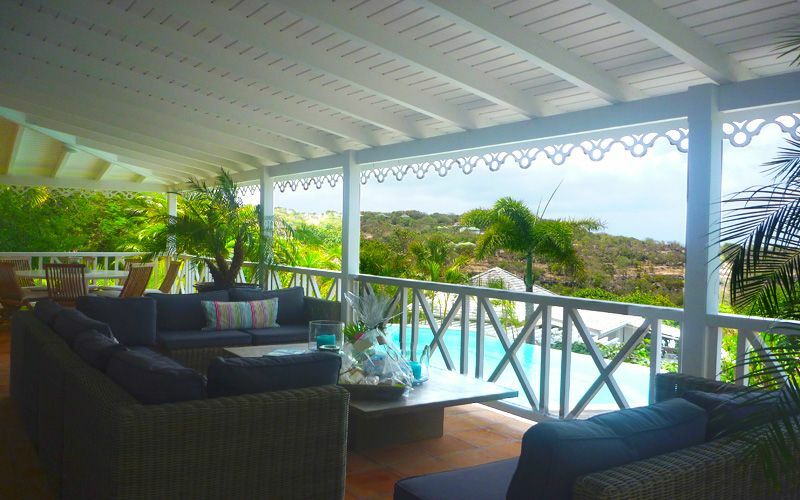 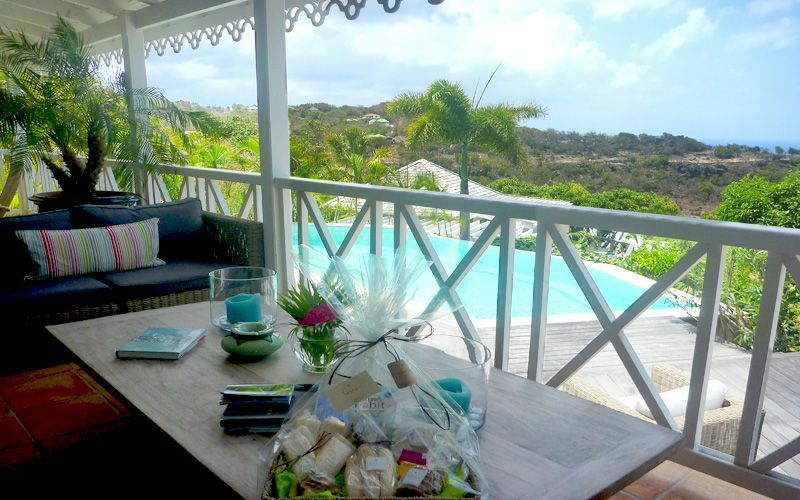 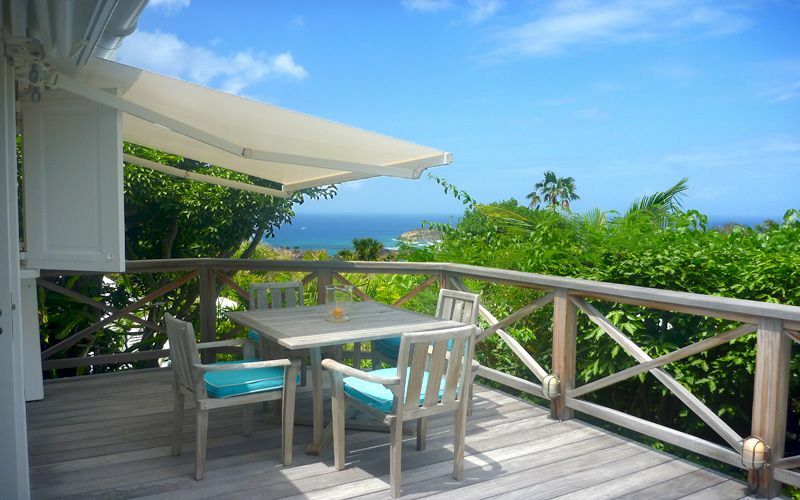 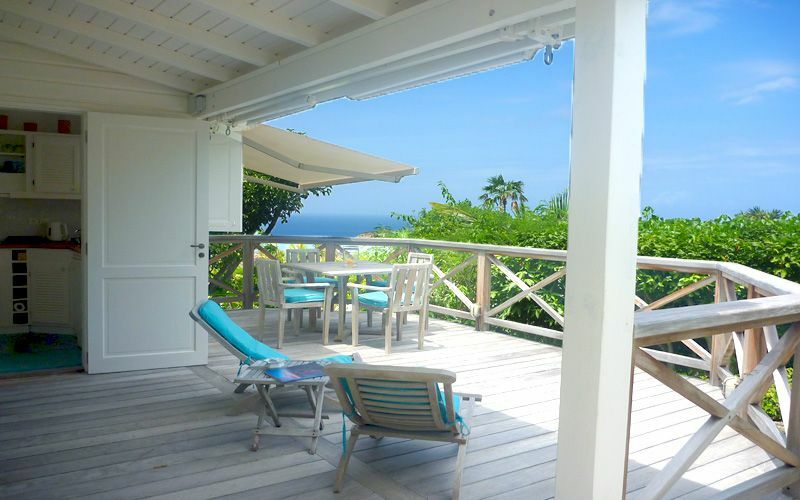 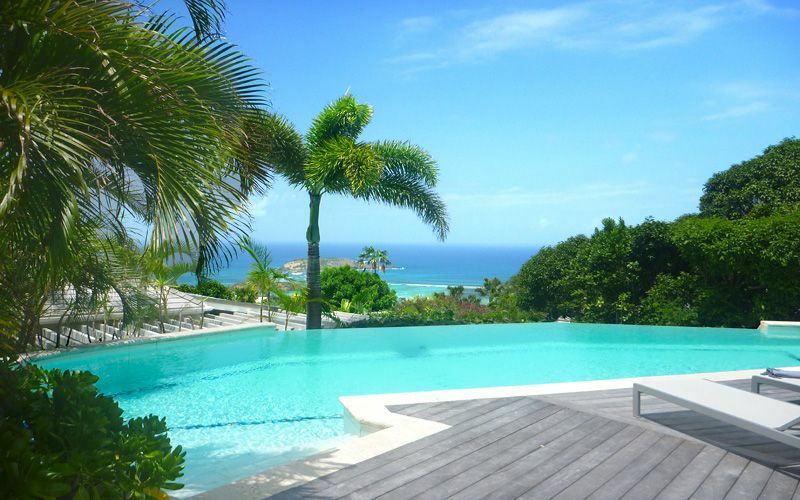 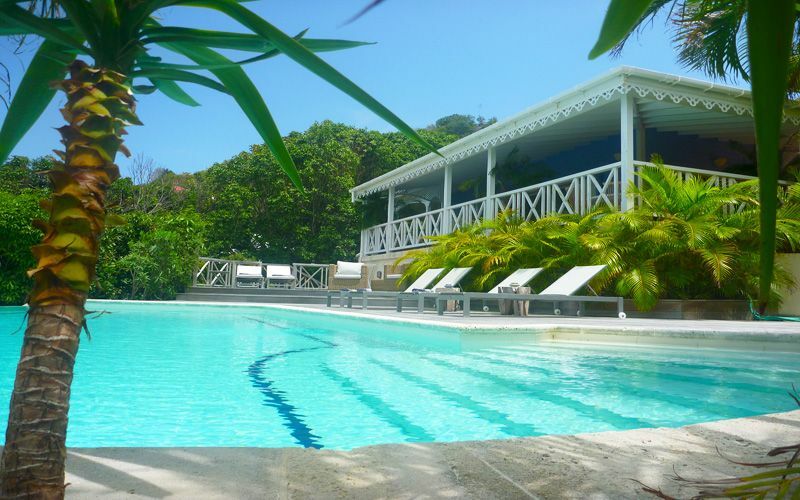 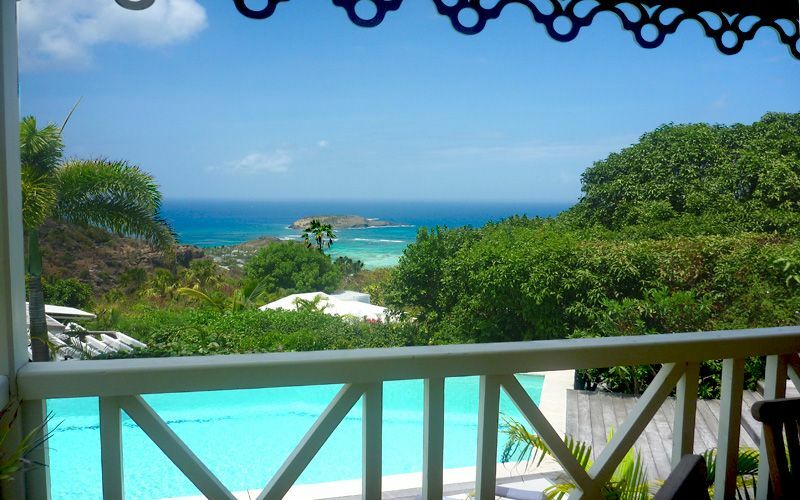 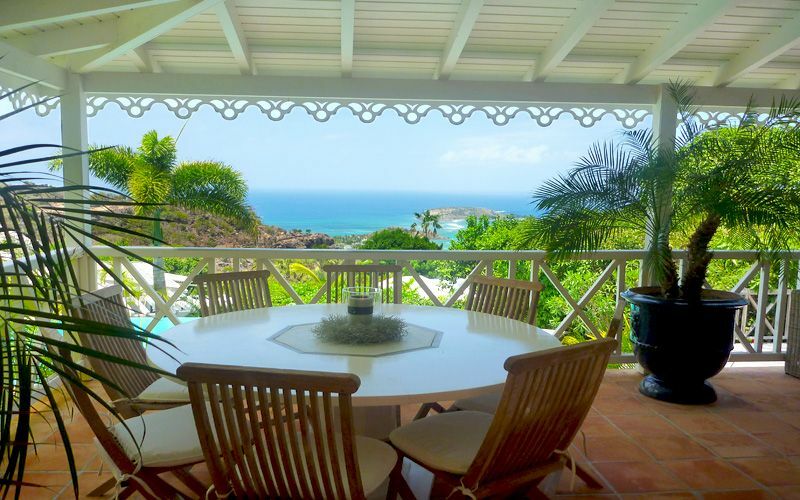 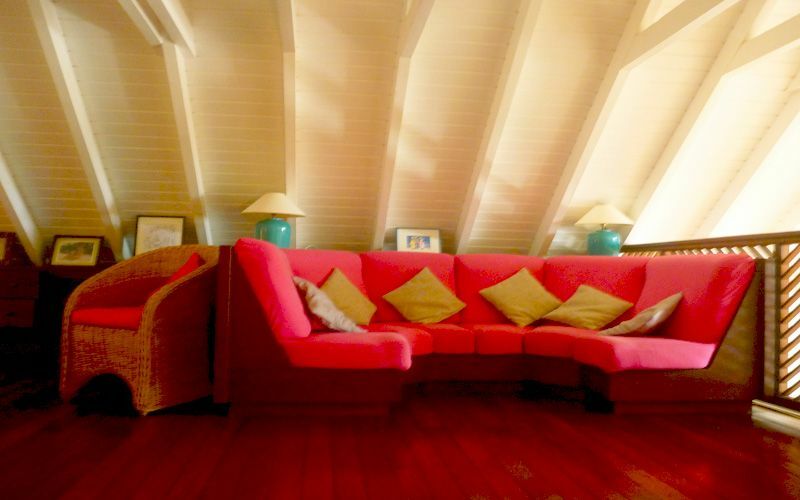 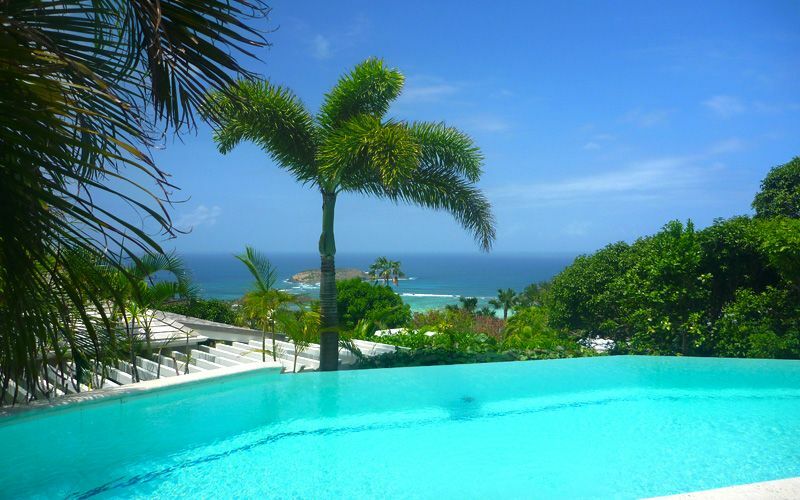 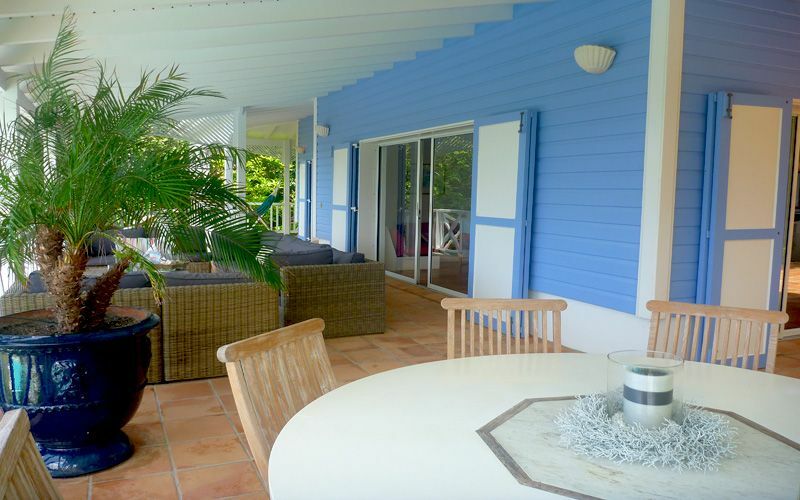 Villa KMAO : Located in Vitet-St Barths, a property composed of 4 bedrooms, 4 bathrooms, a mezzanine, a living-room open onto a nice covered terrace, sunny terrace, pool. 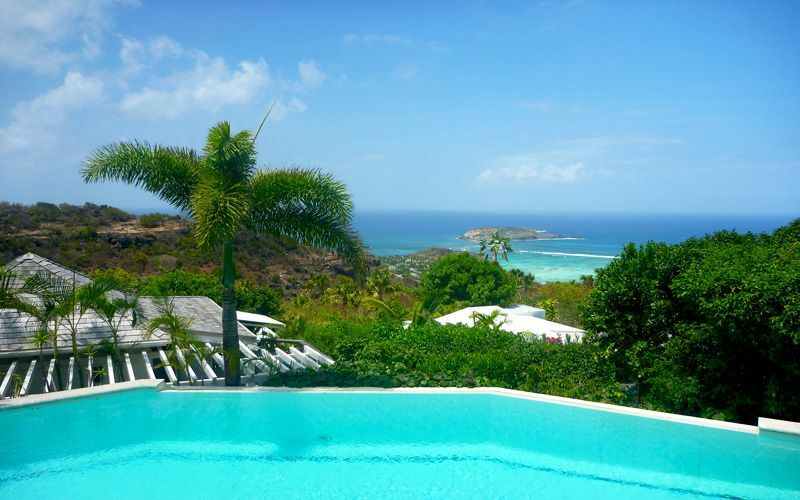 Beautiful view on the ocean, the lagoon and turtle island. 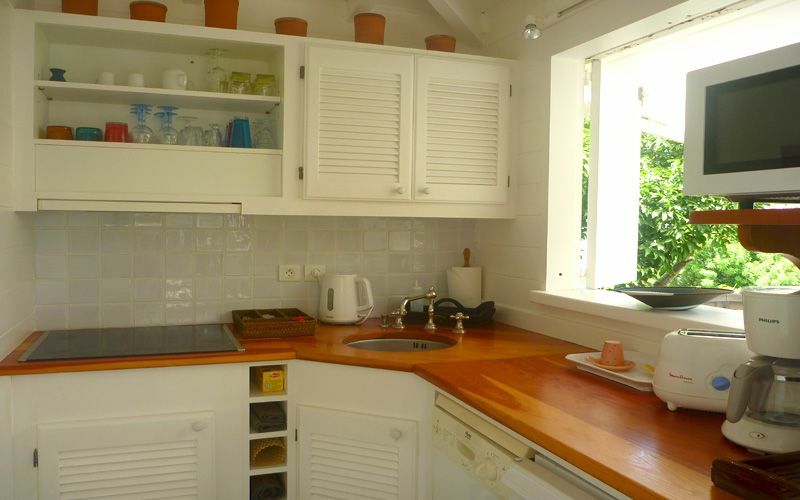 Great privacy. 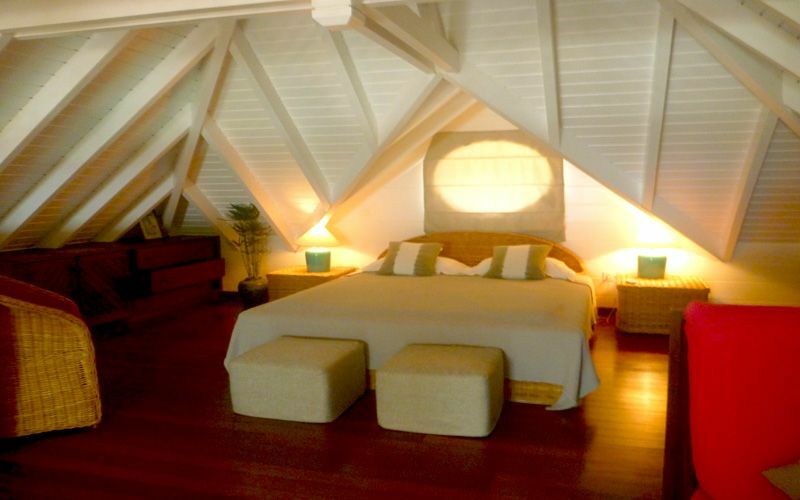 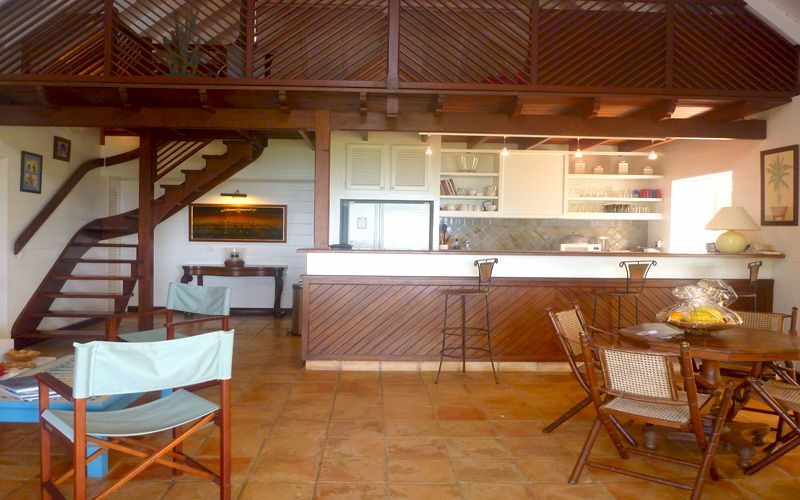 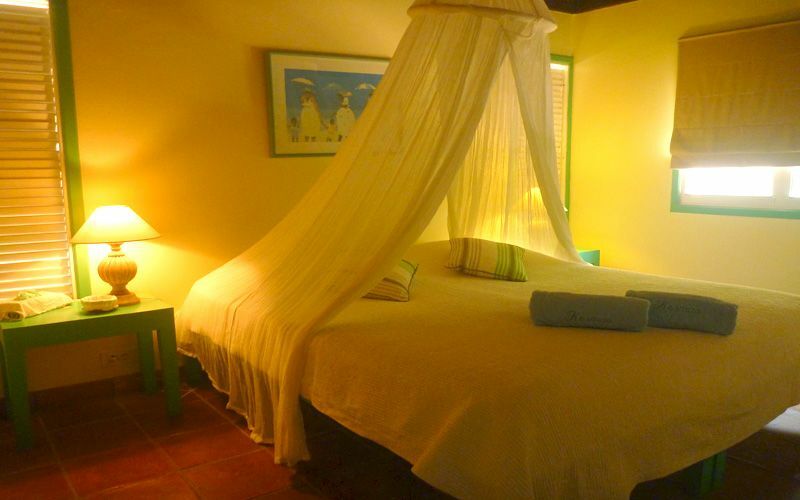 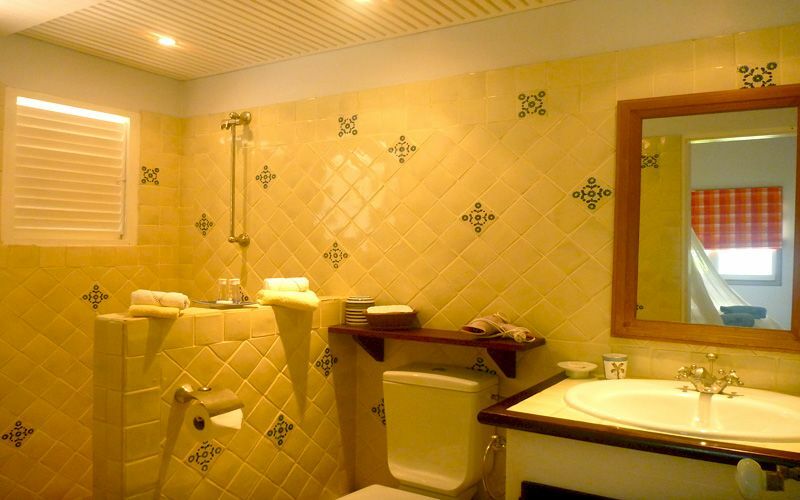 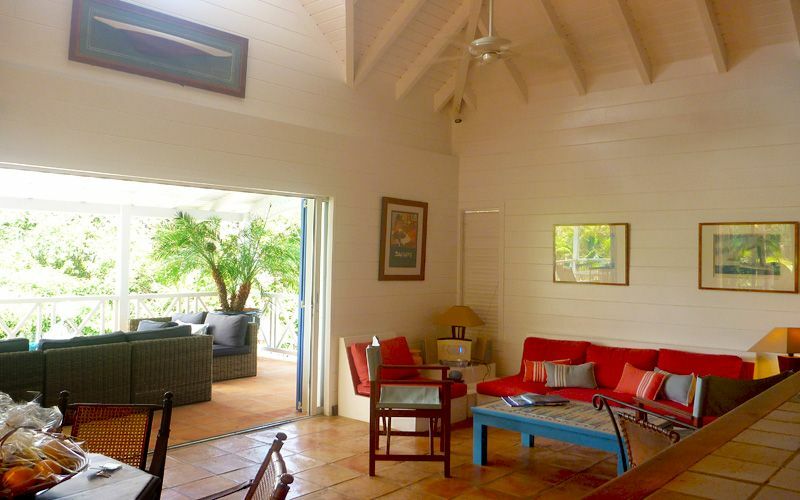 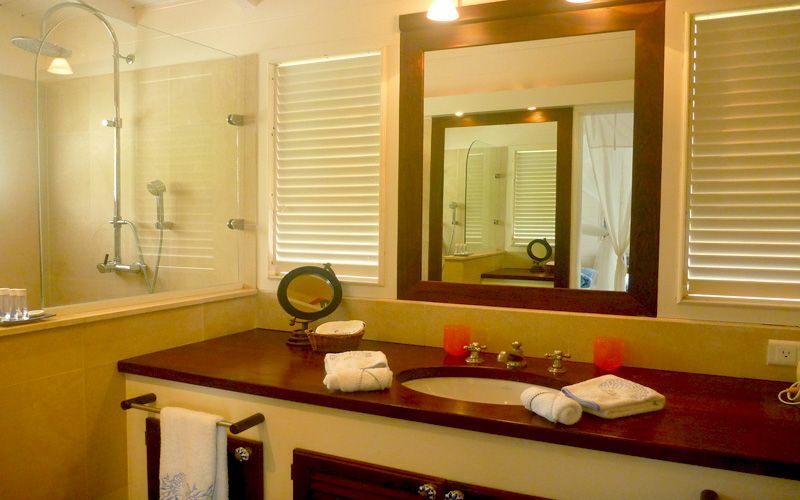 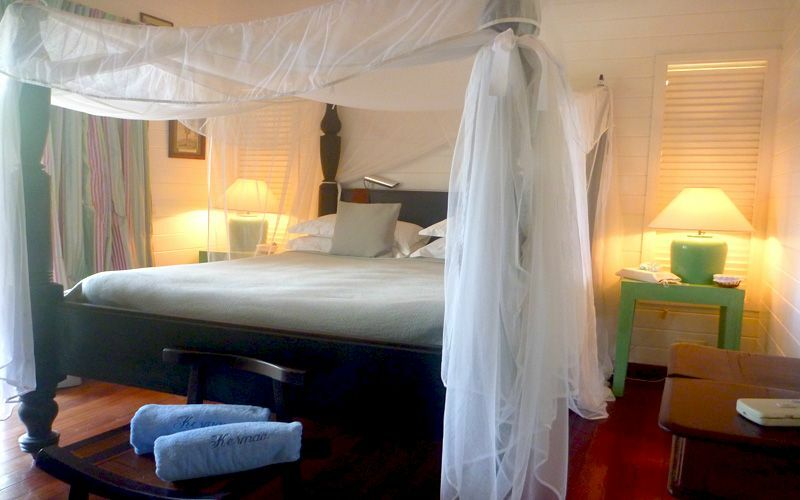 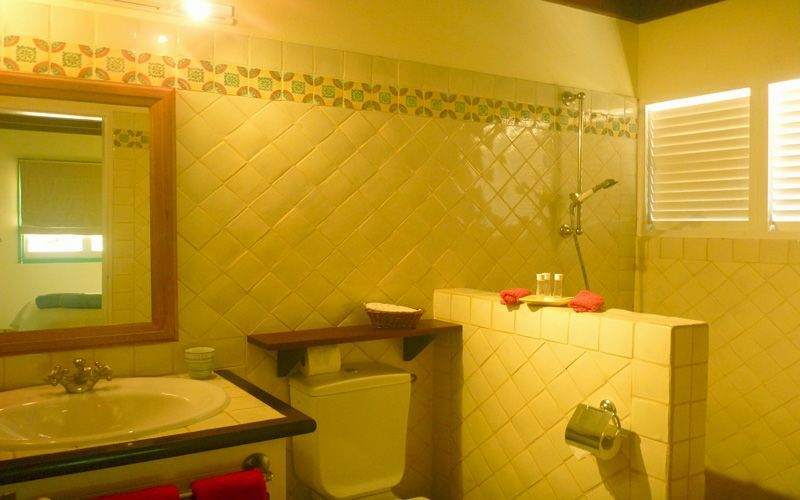 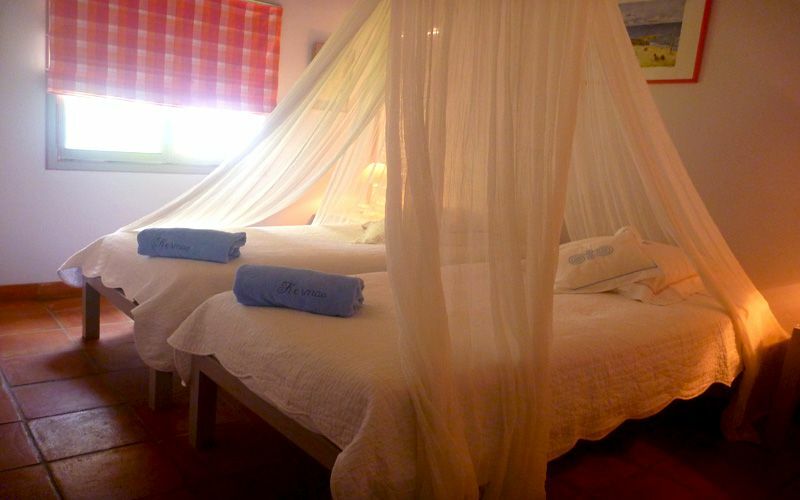 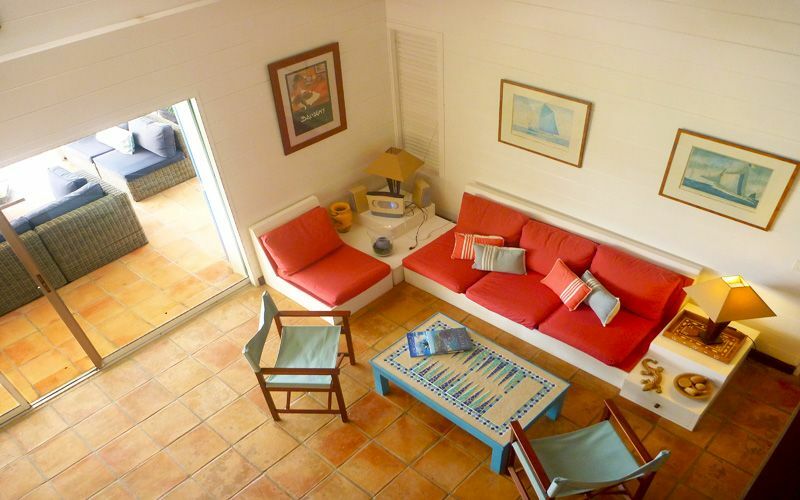 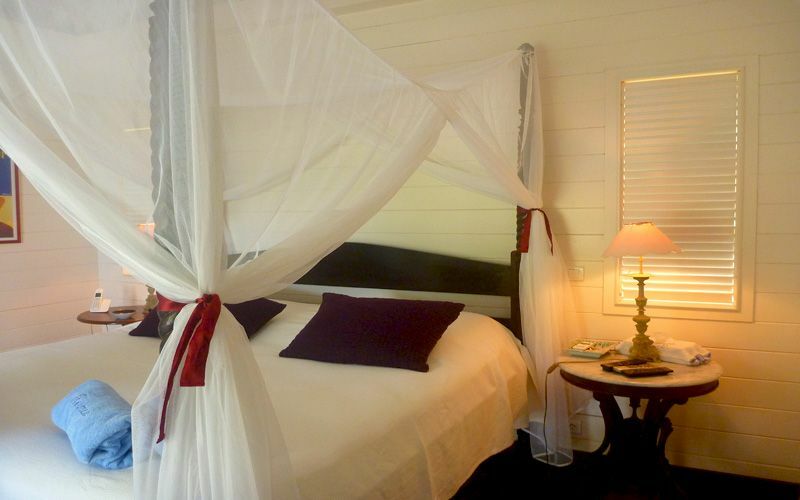 The master is located in a separeted bungalow, and consists of 1 bedroom, 1 bathroom, small kitchen, terrace, pool. 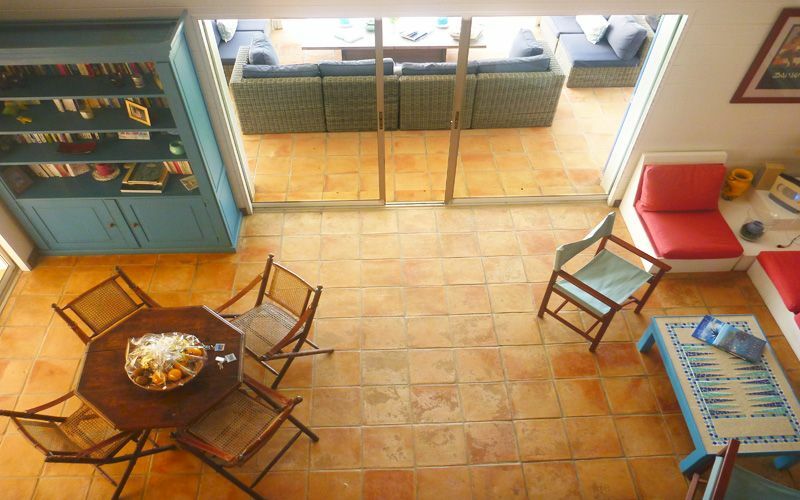 Large lving-room open onto the terrace, the pool and the ocean. 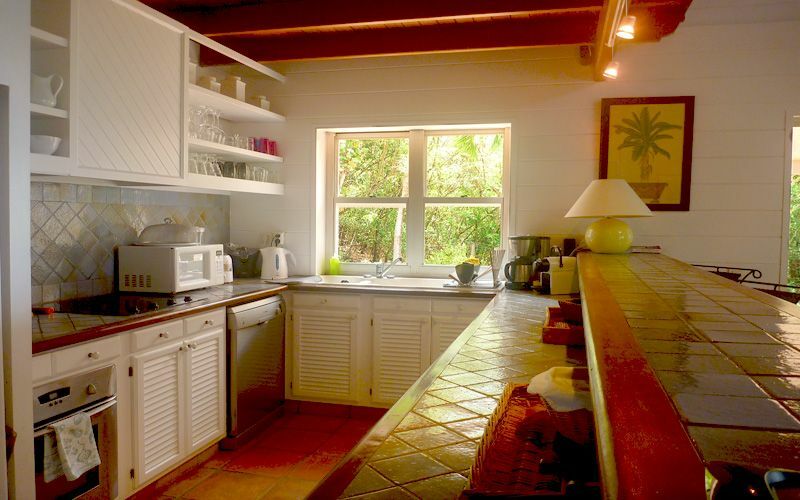 Fully equipped kitchen, Table for 12 persons. 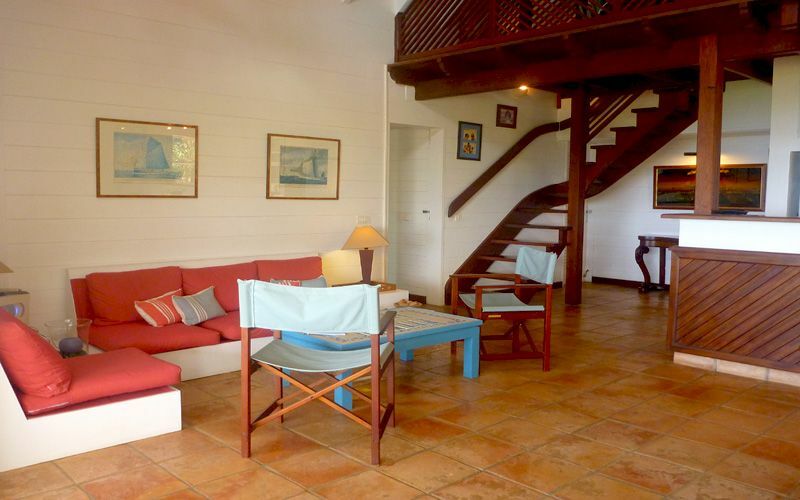 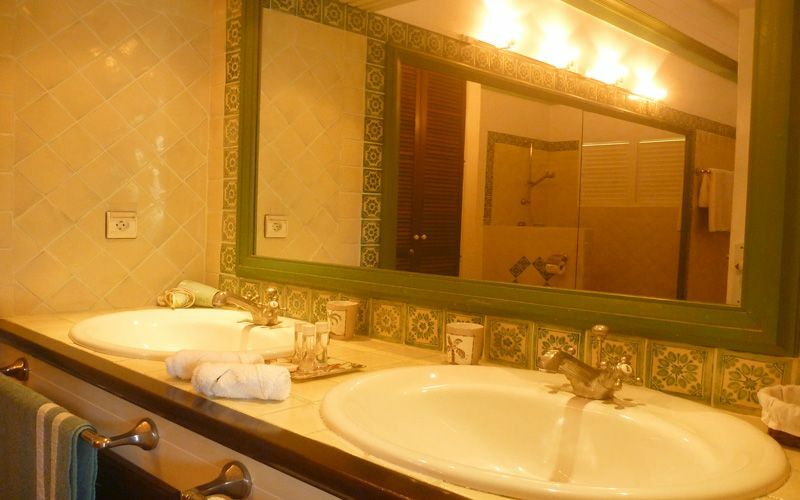 The 4 bedrooms are very well decorated, the master is located in a separeted bungalow, and the 3 others are in the main house.